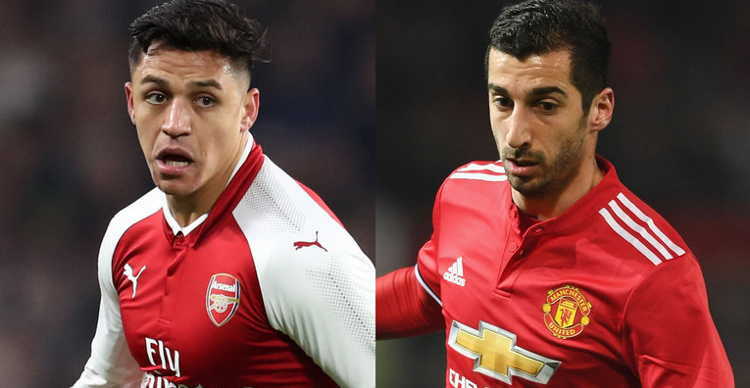 Manchester United and Arsenal have agreed to switch players with 29-year old striker Alexis Sanchez moving to Manchester United and midfielder Henrikh Mkhitaryan (who turns 29 today January 21) signing for Arsenal. Forbe’s Bobby McMahon, argues that Man United appear to have got the better deal. However, considering that Sanchez, who clearly wanted out and was set to become a free agent in summer, the acquision of Mkhitaryan was the best they could get in the circumstances. Find out why, below. The unusual swap involved no exchange of cash as both players simply agreed personal terms. Sanchez, 29, will earn around £450,000-a-week in a four-and-a-half year contract at Old Trafford as United break the bank to beat off competition from Manchester City and Chelsea. Sanchez, 29, will earn around £450,000-a-week in a four-and-a-half year contract at Old Trafford as United break the bank to beat off competition from Manchester City and Chelsea. This will make him the highest paid player in English football. Sanchez was the first to agree to terms with Manchester United while Mkhitaryan’s agent Mino Railo, not for the first time, used every piece of leverage he could before having his client sign off on the move to London. It started with Liverpool spending $104M (£75M – 1.39 dollar to the pound) to sign Virgil van Dijk from Southampton and making him the world’s most expensive defender. Philipp Coutinho’s extended courtship with Barcelona was finally consummated with the Brazil midfielder moving from Liverpool to Barcelona for $147M (£106M). what is now left besides the two parties putting signatures on paper, is for both players to pass medicals which are expected to take place within the next 36 hours. For some time the odds have been heavily stacked in favor of Alexis Sanchez moving from Arsenal to Manchester during the January transfer window. But up until a week or so ago, it seemed certain that his new team was to be Manchester City. After interest from Paris Saint Germain and Bayern Munich had waned last summer, Manchester City had a bid of $90M (£65M) accepted by Arsenal subject to the London team signing a replacement. In the current frothy transfer market, $90M was a bargain for a player of Alexis Sanchez’s quality but the elephant in the room was the fact that in June 2018, Sanchez could move for free. No replacement was secured and no deal was done. However, City retained an active interest in the Chile international albeit at a reduced price. Much of the difference was expected to find its way into Sanchez’s bank account while Arsenal looked to have little option other than accepting City’s offer whatever it was, even though the Gunners’ asking price was $49M (£35M). Then, out of nowhere, came the most unlikely of white knights albeit motivated by a large dollop of self-interest – Jose Mourinho. 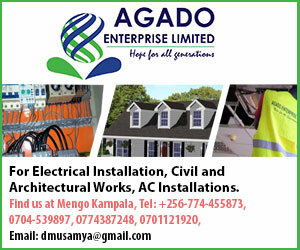 Sensing an opportunity to deny biggest rivals Manchester City and to strengthen United’s attacking options United quickly moved into pole position and Manchester City took sanctimonious cover. Manchester United showed no hesitation in meeting Arsenal’s asking price. United also agreed in super-quick time to make Sanchez the Premier League’s best-paid player at a reputed $695,000 (£500,000) a week. Then, Arsenal decided that this might be an opportunity to land midfielder Henrikh Mkhitaryan after losing out to Manchester United in the summer of 2016. Mkhitaryan had fallen out of favor with Jose Mourinho since the start of the season and there seemed to be no way back. Arsenal’s recently appointed chief scout Sven Milnstat had helped scout and recruit the Armenian while serving in the same role for Borussia Dortmund so there was clearly first-hand knowledge of what Mkhitaryan might bring to Arsenal. The debate as to who got the better deal will rage for some time (IMO it is Manchester United) but there are reasons to believe that both teams can benefit. Mourinho and Manchester United get a world-class talent whose cavalier style will resonate with Manchester United fans raised on a more adventurous style than the Mourinho-preferred “don’t make a mistake” approach. The fact that no money switched hands is an obvious bonus for Manchester United. If both players were in identical contract situations then you would be looking at United having to smooth the move with an extra $40M or so. But the contract situations were not identical and Arsenal got the best possible deal it could when you consider Sanchez was able to move for free in less than six months. Arsenal is also relieved of a player who had become a distraction on account of transfer speculation as well as his single-mindedness often proving detrimental to the team despite his ability to score goals and change games. Despite his problems at Manchester United, Henrikh Mkhitaryan is a top-class talent with the ability to operate in a number of midfield roles. Of great importance is his ability to spot and to play early passes into attacking areas. If Arsenal can sign the pacey and prolific striker Pierre-Emerick Aubameyang from Borussia Dortmund and reunite him with Mkhitaryan and convince Mesut Ozil to sign a new lucrative contract then the goals lost through Sanchez’s departure will be more than replaced.